In 1978, a group of concerned citizens headed by Doña Ana Leroux founded Integración Juvenil (Youth Integration) in Puerto Plata, the Dominican Republic dedicated to creating a safe harbor for children taking them off of the street. Though Doña Ana is no longer with us, her dream has carried on. Her hope was to foster a non-traditional environment of learning and personal growth for the multitudes of urban youth in, particularly difficult circumstances. Health, Opportunity, Personal Growth, and Education, as well as, recreational facilities for kids generally range from 7 – 16 years of age. 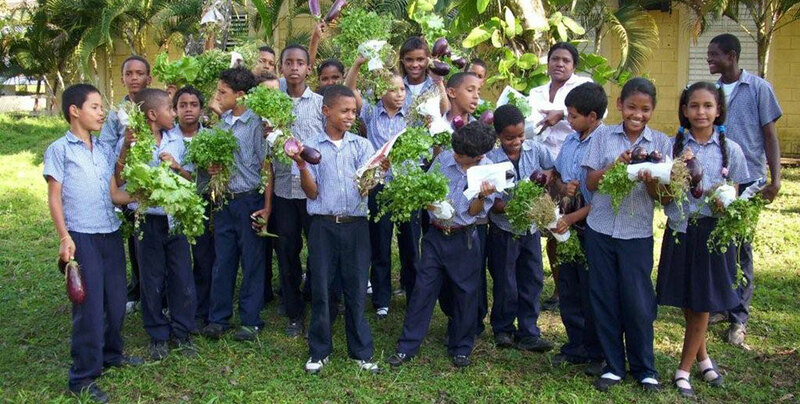 Today, Integración Juvenil’s facilities and programs benefit 200 children on an ongoing basis. 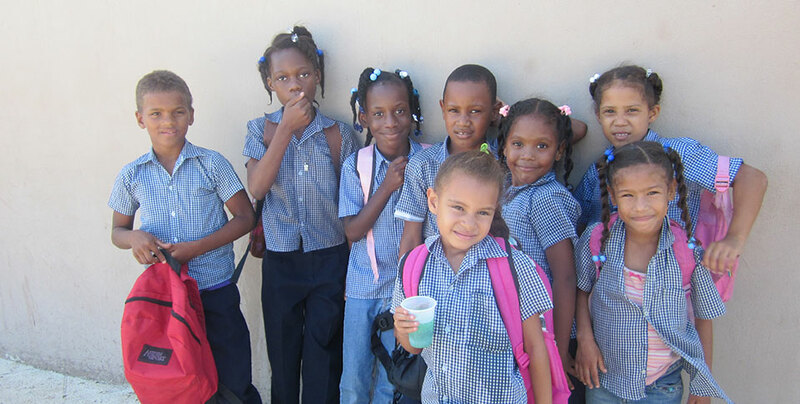 Integración Juvenil is a registered non-profit organization within the Dominican Republic, and has subsisted over the years through government funds and international assistance. It is managed by a volunteer joint directive, and survives with the help of its dedicated staff, volunteers and international friends of the program. 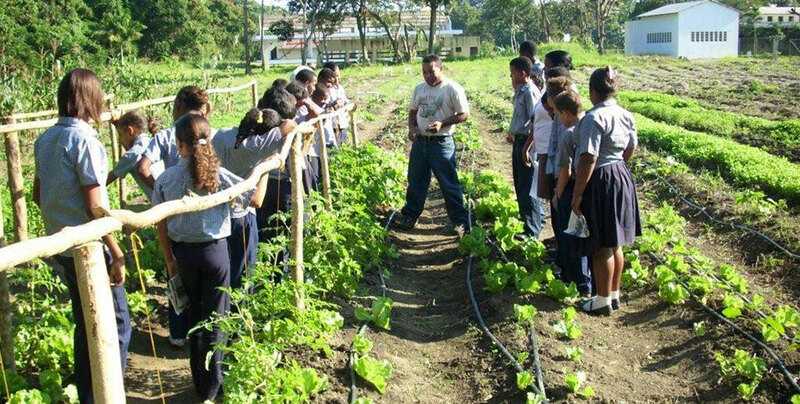 Integración Juvenil is dedicated to integrating underprivileged youth into a productive society in Puerto Plata, Dominican Republic. In the city of Puerto Plata, Dominican Republic, Integración Juvenil was founded in 1978, as a legal non-profit organization to work with children living on the streets and in the barrios, delivering non-secular educational and human development programs that respond to deficiencies in home environments and in the public education system, with the objective to integrate unprivileged children into productive society. 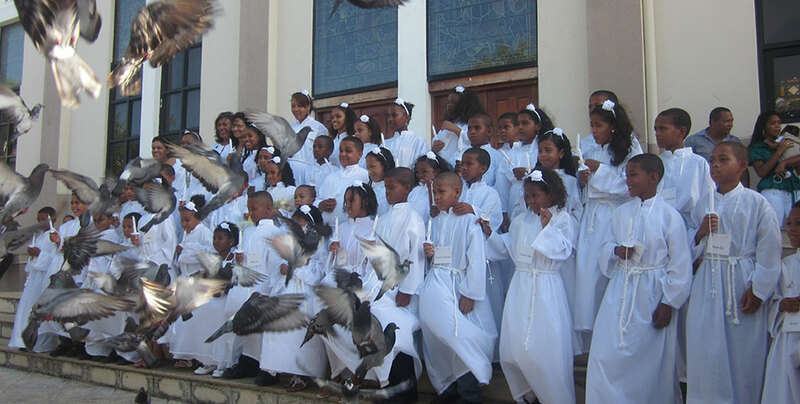 Integración Juvenil has two locations: its administrative office in downtown Puerto Plata; and the educational center in the neighboring village of Muñoz, five minutes outside of the city. At the center in Muñoz, there are three buildings with classrooms plus, vocational and educational workshops; including woodworking, art and handicraft, sewing, and a beauty salon. All of these vocational and practical studies have been the foundation of studies at Integración Juvenil since its inception. A staff of six to ten teachers (varying each year) oversee these workshops, as well as, intensive classes on literacy and other basic concepts of formal education, designed to re-‐insert youth into the educational system. To allow our kids to continue their formal education in the mornings, all classes are held at Integración Juvenil in the afternoon only. The school year is free for all students, which includes transportation to and from Muñoz, and educational materials like notebooks and pens. A walk-in clinic, maintained by CEPRO SH of Puerto Plata, shares the compound with Integración Juvenil and offers free consultations for Integración Juvenil youths, including on-site dental and medical exams. Puerto Plata’s downtown tourist area is where the unemployed and unemployable send their children to beg, sell trinkets or do whatever it takes to make enough money to put food on the table. Unfortunately, this often leads to theft and sexual abuse. Many of these children, aged six to sixteen, have never set foot in a classroom. Working from a converted private residence located downtown, Integración Juvenil motivates children and their parents to embrace education and new possibilities for the future. The children are prepared in a homeschool type environment to integrate into the public school system. There are currently 20 children enrolled in this program. From a nice Victorian house located in the center of Puerto Plata’s historic section, the social workers of Integration Juvenile reach out to the poorest barrios (slum neighborhood) in the area, and to the families and children most at risk. This outreach center is open for visitors and volunteers alike and holds classes for preschoolers. The center also hosts a cooking class for neighborhood women. While using this facility to maximum capacity, its most important role is providing a place where our social workers are in direct contact with the children at risk. This enables them to adequately qualify new students and monitor the family situations of enrolled students in order to provide counseling when necessary. In conjunction with the Ministry of Education, the Integración Juvenil Farm will provide formal grade school education for children who emerge from both our Street Kids and our Barrio Outreach programs. A halfway house for families in distress has been completed at the Integración Juvenil Farm and is now waits for funding to start this segment of our journey. Many of the children are best suited to adopt a trade as their way of becoming productive members of society. 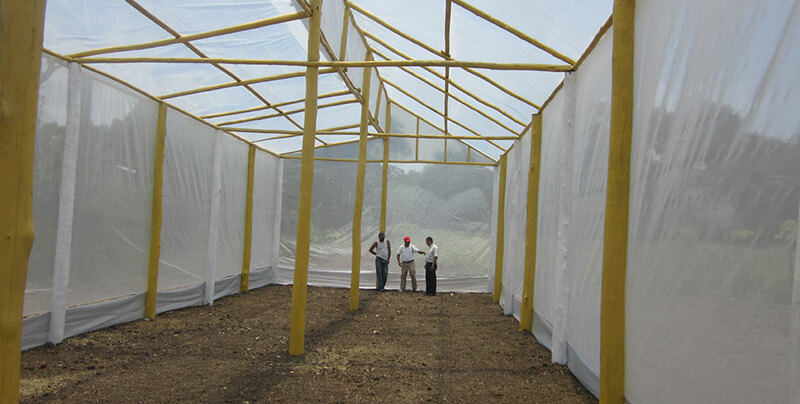 The Integración Juvenil Farm has the facilities and some of the equipment needed to provide youth with practical training in woodworking, sewing, and other manual skills. These programs are currently in their developmental stages. A clinic located on the Integración Juvenil Farm provides our students with medical and dental services. This program functions under the direction of another local non-profit, CEPROSH. Today, Adrea works in Puerto Plata’s Banco Popular (Popular Bank) as a Customer Service Representative. GREGORIO RAMON DEL ROSARIO attended Integración Juvenil from 1984 until 1987. When he was 12, he was shining shoes in Puerto Plata’s central park. He had gone to school up to 5th grade and had no plans of going back. The educators at Integración Juvenil invited him to come and get to know the program, and he decided to participate. After the three years that he spent with Integración Juvenil, he was able to begin his first year of high school, where he stayed through graduation. He has since graduated college with a degree in Communications from the prestigious University Of Technology in Santiago (UTESA). He currently works as a radio announcer on Radio Puerto Plata and as a messenger of Banco Nacional de Credito. Gregorio has grown to be a kind and confident man, and with much humility and a great smile, he expresses his satisfaction and thanks for the time he spent with Integración Juvenil. JOSE ANDRES RIVERA works as an independent photographer and contributes regularly to Puerto Plata’s newspaper, El Faro. Today, he is married with two children, Nicole Andreina, and Mariagelis. DARIO ALVARDO GONZALEZ (ODANIS) attended Integración Juvenil from 1985 to 1988. The teachers at Integración Juvenil had been visiting his barrio in 1985 and invited him to participate. He went on to finish high school. He was working at a local gasoline station for the last 11 years and now works as a cashier in a Money-Exchange Bank. He is married to Francia Estrella, has 2 kids, and has grown up to be a wonderful person! SANDRA ALTAGRACIA ROBINZON When Integración Juvenil encountered the young Sandra, her self-esteem and outlook on life was grim. MARTIN GARCIA MOGENA (“CHARLI”) When Charli was 12; he earned his living as a shoeshine boy, was illiterate, and had never been to school before. In the time that he spent with Integración Juvenil, he learned to read at a 6th-grade level, and later went on to his 4th year of high-school. He has worked the past 17 years of his life with a business where he is counted on as a jack-of-all-trades. He is a trusted worker maintains contacts with the Medical Center, Pharmacies, Gas Stations, Farms, etc. ADRIANO POLONIA SANTANA (“FERNANDO”) Fernando entered Integración Juvenil in 1986 and left in 1988 when he was 16. Before he began at Integración Juvenil, he had been working in the streets of Puerto Plata as a shoeshine boy. In order to provide the much‐needed economic assistance to his family after he began at Integración Juvenil, he began selling newspapers in the afternoons. Like most kids at Integración Juvenil, Fernando was far behind in his formal education and worked diligently with his teachers on catching up to his peers. Today, he is a college graduate in Accounting and works as a Cost Manager in the Hotel Camino y Paraiso del Sol (Ahmsa), where he has worked for the past five years. With more than 30 years of service, Integración Juvenil has developed experience and resources to ensure effective administration and execution of programs. We have also acquired resources and facilities that are awaiting funding and partnerships that can help our programs to grow. If any of our programs are aligned with your institutional objectives, write to us and let’s explore ways to work together. Friends of Integración Juvenil: Integración Juvenil has had lots of help and support in the DR and from all around the world since 1978. The following is a partial list of the institutions that have helped us grow in one way or another. Here, we would like to thank the people and organizations that have invested their funds, time, and their love into Integración Juvenil; first, to Rita Gautschi of GRACIAS, to whom we owe many thanks for being a long-time supporter and for her consistent financial support and caring for the program. GRACIAS is a registered non-profit institution in Canada and has served as Integración Juvenil’s Canadian and International representative since 1994. Thanks also go to Matthew Morano for donating the Internet space through his web page PuertoPlataGuide.com, a site dedicated to supporting sustainable local tourism in Puerto Plata. We encourage you to visit the site before making your trip to Puerto Plata. Lastly, we send a special thank you to the international team of World Emergency Relief that has given us such wonderful support and that has helped and sustained us to continue to become a better institution for the children. Integración Juvenil has no sustainable means of support and relies solely on donations to cover all ongoing expenses. Donations fluctuate from year to year, creating the need for a constant outreach effort to keep supporting our 200 – plus students as well as growing so we can help more. Whether you can make a donation of $ 10 dollars, or provide a gift of clothes or equipment or time, your contribution is important and will be put to good use. Here are some ways to donate. Donate Money: Send an email to pledge a cash donation. Our donations director will respond to your email and to any questions with the form, and help you direct your contribution. Donate stuff! Are you coming on vacation? Bring an extra suitcase with clothes, toys, school supplies, whatever you can spare. Please email us to agree on details about pick up or delivery upon your arrival. Our donations director will reply and tell you what is currently needed. Donate time! Are you a teacher, carpenter, caregiver, plumber or from another profession and would like to take a working sabbatical? Perhaps your skills can be of help to Integración Juvenil. Drop us a line and tell us about yourself! Organize a Helping Hand Vacation! For your school, church or service club. 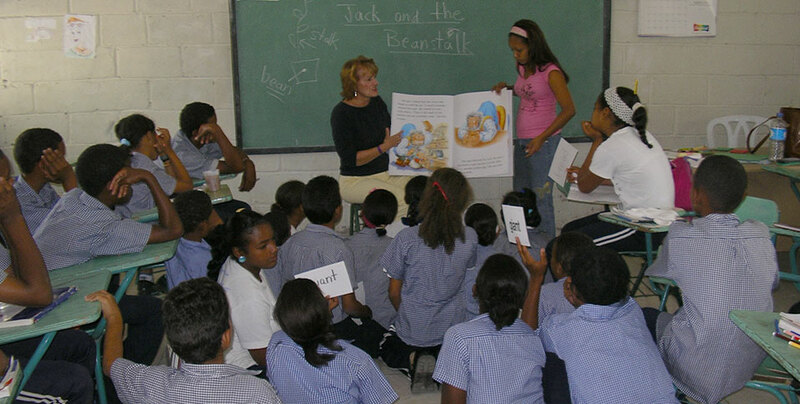 Each year hundreds of groups arrive to the Dominican Republic to help out. 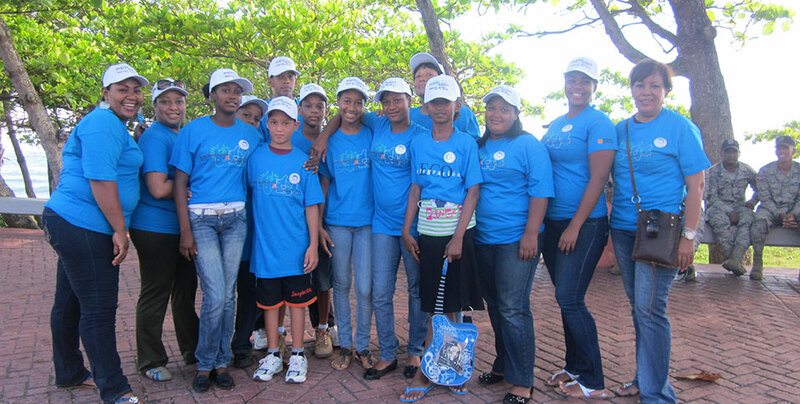 Integración Juvenil can help you to organize your group trip around giving assistance to some of our programs. Drop us a line! Link us to your website! Help us spread the word about Integración Juvenil by providing a link to us on your website through our link exchange program. Institutions, NGO’s, Partnering With more than 30 years of service, Integración Juvenil has the experience and developed resources to ensure effective administration and execution of our programs. We have also acquired resources and facilities that are awaiting funding and partnerships that can help our programs grow. If any of our programs are aligned with your institutional objectives, write to us and let’s explore ways to work together. 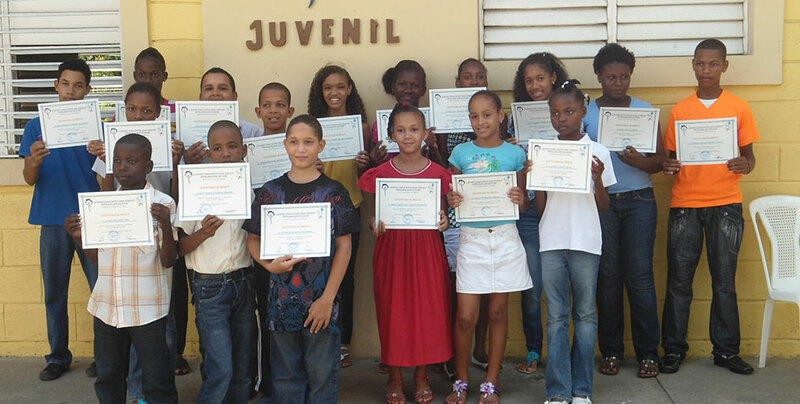 Integracion Juvenil is dedicated to integrating underprivileged youth into a productive society in Puerto Plata, Dominican Republic. In the city of Puerto Plata, Dominican Republic, Integracion Juvenil was founded in 1978, as a legal non-profit organization to work with children living on the streets and in the slums, delivering non secular educational and human development programs that respond to deficiencies in home environments and in the public education system, with the objective to integrate unprivileged children into productive society. 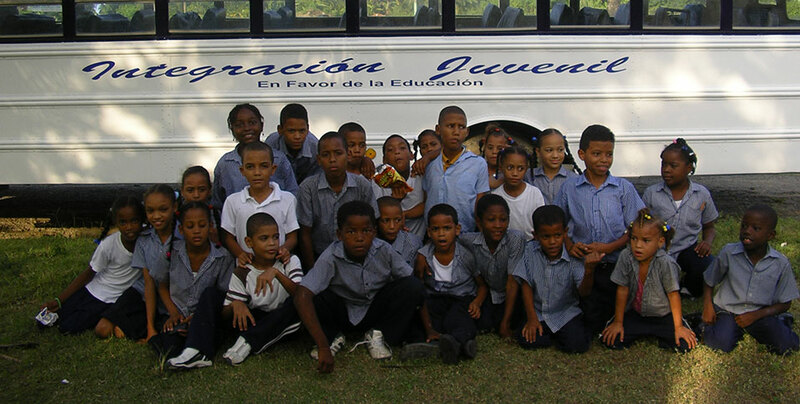 Today, Integracion Juvenil’s facilities and programs benefit 200 children on an ongoing basis.